Taking Action Express: Celebrating Success; Dumping Waste; Dealing with Specialty Drugs…and More! Celebrating Health Care that Works in Minnesota! To honor clinics and Minnesota medical groups that are closing health care quality gaps, The Action Group and the Minnesota Bridges to Excellence Champions of Change will host a recognition reception, where complimentary light hors d’ouevres and cocktails will be served. Recognized clinics qualified for incentive payments by meeting performance criteria for either achievement or improvement by delivering optimal care to their patients with diabetes, vascular disease, and/or depression. Because this will be the final event for the MNBTE program as we have known it, we will recognize the 2017 reward recipients, celebrate the success of the program since its inception, and toast all of the clinics that have been rewarded in the course of the past dozen years. Official notification of 2017 recognized clinics will be sent in late June. Lists of rewarded clinics from previous years are posted to our website. Clinicians, health plans, health systems, quality improvement organizations, employers/ purchasers, as well as other community stakeholders are encouraged to join us for this celebratory event. We hope to see you there! Of the 44 million Americans living with mental illness, 60 percent receive no treatment in a given year. 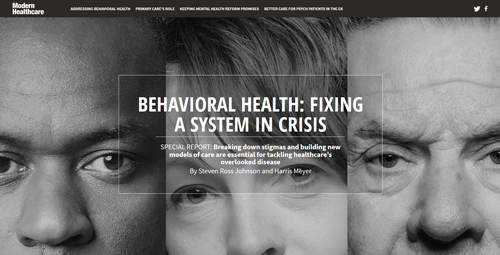 Modern Healthcare Special Report: Behavioral Health: Fixing a System in Crisis. The State of Minnesota recently released an analysis of low-value services in Minnesota. 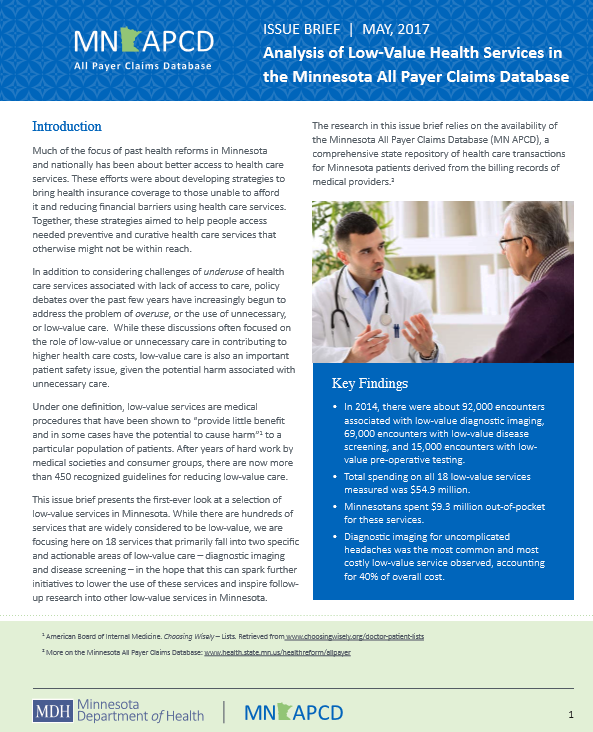 This issue brief used the Minnesota All Payer Claims Database (MN APCD), a comprehensive community data asset that includes public and private insurance claims for nearly all Minnesotans. Our next member meeting on July 26 will focus on how employers can optimize use of a valuable community asset: Health care data. Non-members may also attend by contacting Sue Jesseman for a complimentary pass. The Action Group is growing and welcoming newcomers to become part of our movement to build a better health care system. Action Group members draw strength from our collective voice, and make real progress through our united efforts. Learn more about us through our new overview, attend a meeting as our guest, talk to members or board members, or contact Deb Krause. 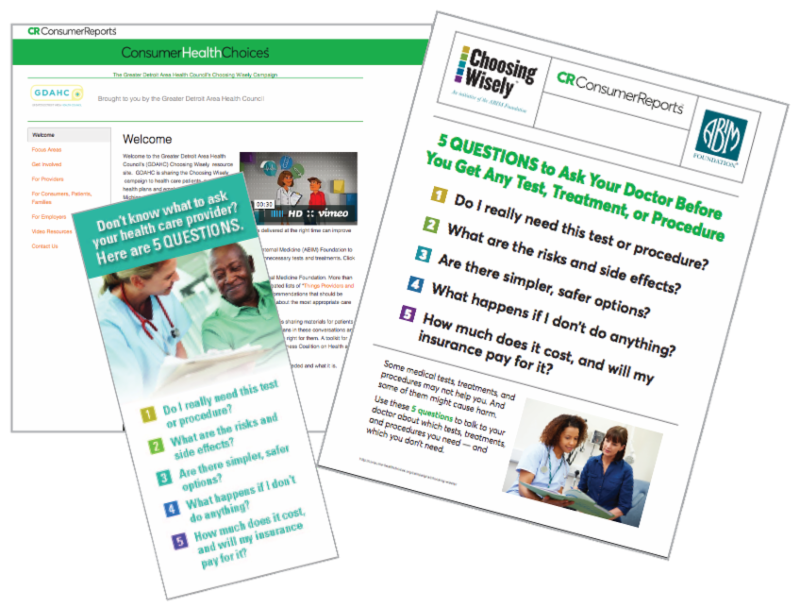 Complimentary July Choosing Wisely employee communications from the Minnesota Health Action Group and Consumer Reports are ready and available to members and non-members! And just in time for summer’s weekend warriors and gardening enthusiasts, content focuses on the best care for lower-back pain, helping you share with employees how to better understand when imaging tests are a good idea, and when they just add cost and risk. A lower-back pain self-care guide is also included. Click here to view this, and January-July Action Group Choosing Wisely toolkit content (click on “2017 Minnesota Campaign” in the left-hand column). To receive monthly reminders to use timely Choosing Wisely content, click on the link below and you will be added to the subscriber list. 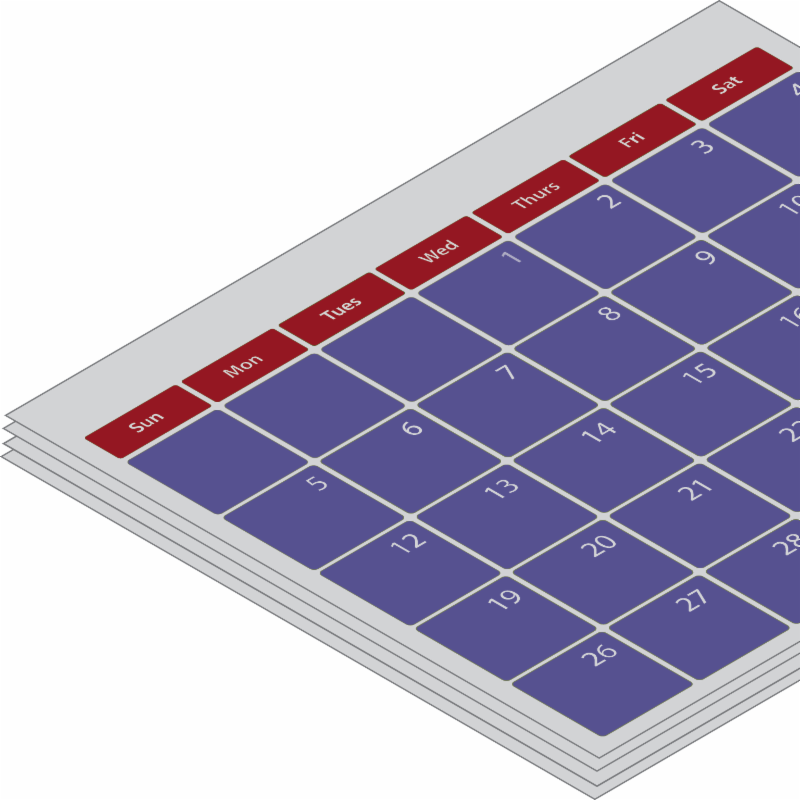 Action Group members have access to the entire 12 months of content by logging into the Member Center on the homepage. 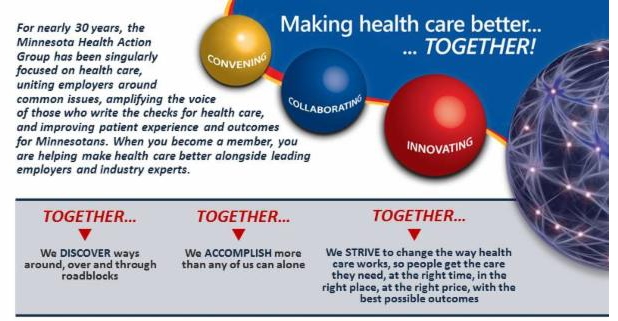 One of the key sessions during the National Alliance of Healthcare Purchaser Coalitions Annual Conference in November will be “Emerging Trends/Effective Strategies for Managing Specialty Drugs.” Featured will be a new vision to align the private sector for a high-value specialty drug marketplace. 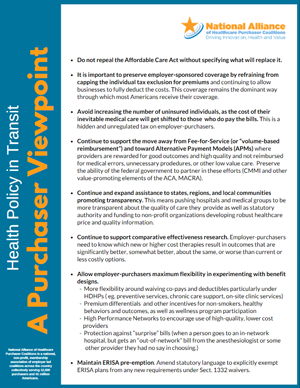 Minnesota employers and The Action Group played a key role in developing the framework, in collaboration with the National Alliance and several other purchaser-led member coalitions.